Oil disasters affecting oceans and groundwater may soon become a thing of the past thanks to Jarmat’s bio-based lubricating oils. Jarmat’s oils are made from glycerol, which makes them more environmentally friendly and biodegradable compared to existing solutions which are oil-based. Glycerol is a side stream of biodiesel production. Oil-based lubricants are used in various machines. They end up in the soil and sometimes in groundwater. For example, saw mills located in groundwater areas in Finland are not permitted to use regular non-biodegradable lubricating oils. The majority of such facilities are also located close to water bodies, which can be affected by lubricating oils used in outdoor pipelines. The manufacture of biodiesel from forestry and food industry products produces glycerol as a side stream. Jarmat uses this glycerol to manufacture 100% biodegradable lubricants for industries and agriculture, tree stamping dyes for forestry machines and the lubricants used at driving-practice tracks. The use of glycerol as a raw material does not take up arable land and it is a significantly more environmentally friendly alternative to oil. Jarmat sells its products in a conventional manner, but its ability to customise its products to the customer’s needs sets it apart when it comes to customer acquisition. The demand for glycerol is currently so high that Jarmat has also begun to import it. Sweden and Germany in particular have shown a lot of interest and the market is set to grow. 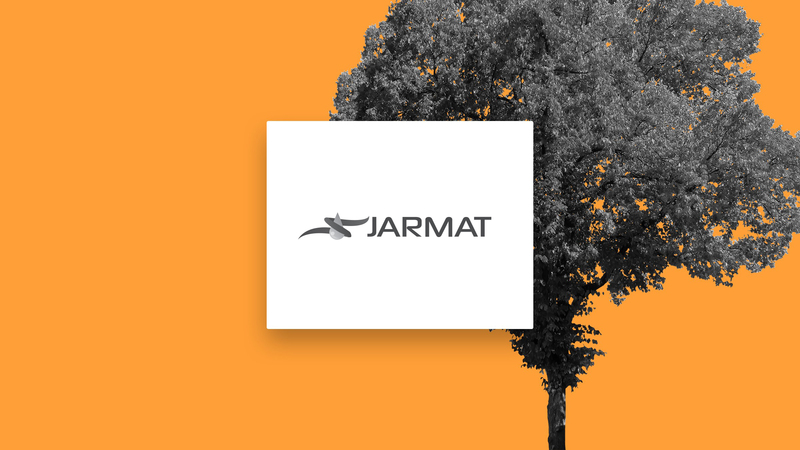 Jarmat sells its products via agricultural and hardware stores and directly to industrial facilities and manufacturers of forestry equipment. In addition to biodegradability, Jarmat’s lubricant has greater friction-reducing properties than oil-based products, which means that equipment such as conveyors can be run with much less power.